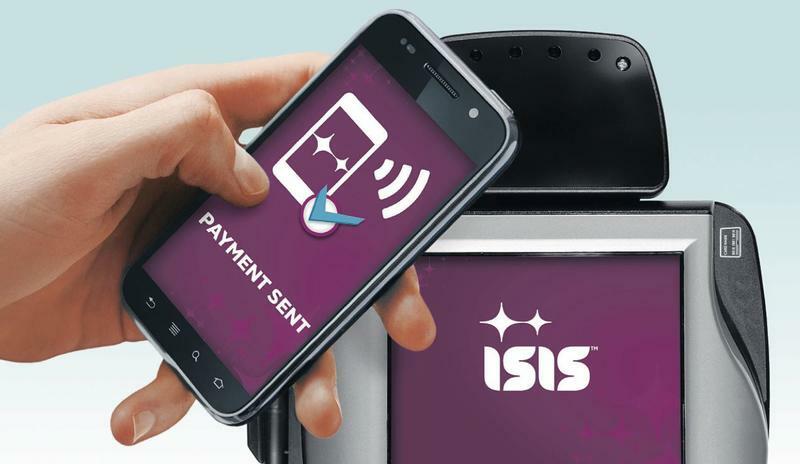 Verizon, T-Mobile and AT&T have been hard at work on a joint venture called Isis that will allow customers on those wireless networks to use mobile devices for payments. The initiative is similar to Google Wallet, but is backed by more carriers. Google Wallet's only big time supporter in the United States has been Sprint. The Isis trial is underway in Salt Lake City and Austin and anyone interested in using it needs an Isis Ready handset, of which there are already nine, and a new SIM card from their respective carriers. Isis didn't name the phones outright, but we suspect it includes many of the NFC-enabled devices (if not all) that have been launched during the past year. "The launch of the Isis Mobile Wallet in Austin and Salt Lake City represents a milestone for both Isis and the mobile commerce industry," said Ryan Hughes, chief marketing officer, Isis. "With as many as 20 Isis Ready handsets headed to market by year end, we are experiencing an unprecedented level of support for NFC and consumer choice." The mobile payment solution currently supports American Express, Capital One and Chase credit cards, although customers can opt for a prepaid Isis Cash card. There are hundreds of locations that are accepting the payments in the two cities now, and more markets and retailers are expected in the next year. Current partners include retailers such as 7 Eleven, Foot Locker, McDonalds, Rite Aid and more. Load an eligible American Express, Capital One or Chase credit card into the Isis Mobile Wallet or get started with the Isis Cash™ card that comes in every Wallet. Get out and get tapping at any of the hundreds of locations across Austin and Salt Lake City where contactless payments are accepted, a full list of which can be found at www.paywithisis.com. "The launch of the Isis Mobile Wallet is an important step toward accelerating mobile payments in the United States and maximizing convenience for consumers" said Bill Gajda, head of mobile product, Visa Inc. "Isis' open approach directly aligns with Visa's strategy of enabling consumers to make mobile payments with whatever device they choose using the trusted accounts they already have." "MasterCard has been working with industry partners like Isis to turn mobile phones into secure payment devices and create better shopping experiences for both consumers and merchants," said Mung Ki Woo, group executive, mobile, MasterCard Worldwide. "The use of NFC technology is a path to an improved consumer experience, and the launch of the Isis Mobile Wallet – combined with the growing number of NFC-enabled handsets – will help make mobile commerce a reality for millions of consumers." "Today's launch of the Isis Mobile Wallet is a significant achievement in terms of enabling consumer adoption of mobile payments," said Suzan Kereere, senior vice president and general manager, American Express, Global Network Business. "Mobile commerce holds the promise of dramatically enhancing consumers' shopping experience, and American Express' first priority as a network is to provide choice and flexibility for all industry participants as we work together to influence the speed and growth of mobile NFC payments in the U.S."